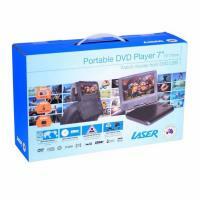 With super bright colour LCD screen, this portable DVD / CD player can be taken anywhere - especially in the car, train or on a plane. 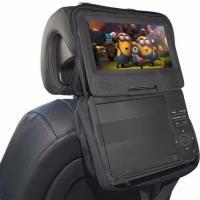 The 180 degree swivel screen mkes this device not only fun to use but practical for viewing. 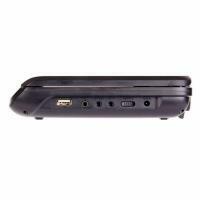 Not only does it play content from discs, but also electronic files on USB storage as well. It comes with a full-function remote control as well as a home power adaptor (240v in the wall) and a car power adaptor (12v cigarette socket). Perfect for that long road trip or commute to keep the little and big kids entertained. 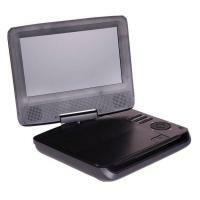 Accessories included	Carry case / headrest holder, Australian /New Zealand approved power adaptor, AC cable ( for connection to TV), ar charger, Remote controller, earphone.